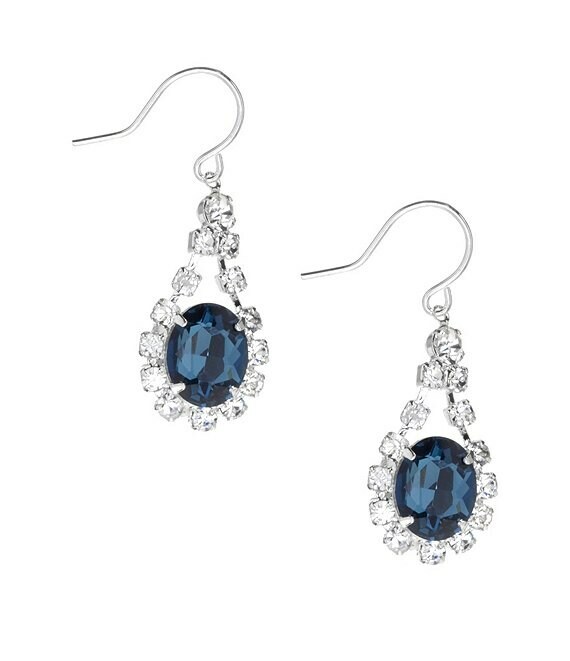 Add elegant sparkle to any look with these drop earrings from Cezanne. They feature an oval rhinestone sitting in a swag of smaller rhinestones to create a teardrop design. We love them with an up-do and a cocktail dress for your next night out.